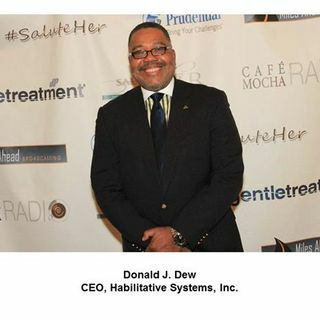 In June 1990, Donald J. Dew was selected from a field of over 150 candidates to fill the position of President/CEO of Habilitative Systems, Inc. (HSI). HSI is a vital Chicago-based health and human services organization which currently operates over 40 programs for thousands of children and families in need. Under Dew’s tenure, HSI’s budget has grown to approximately $7.5 million in 2015, signaling a significant increase in services to Chicago area residents during an adverse economic period. ... Más informaciones The Illinois budget stalemate makes it increasingly difficult to deliver high quality services to people with developmental disabilities and mental health challenges, but HSI is up to the challenge. Call in live at (347) 884-8121. You don't need an account to listen, but, if you want to participate in an online chat, open a listener-only account at https://secure.blogtalkradio.com/register.aspx?type=listener to participate in a live chat. Visit Valeriefleonard.com. Archived episodes may be found at http://Valeriefleonard.com/NonprofitU, iTunes and Stitcher.